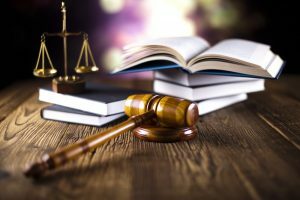 A new toolkit from the Legal Action Center can help patients, especially those taking methadone, understand their rights when they are told that they must stop taking their medication in order to keep custody of their children or avoid incarceration. Many times, these patients don’t have a lawyer, but even if they do, the lawyers could use help advocating for their clients’ rights to stay on medication received at opioid treatment programs (OTPs), Legal Director Sally Friedman told AT Forum. Treatment centers that advocate for their patients to continue taking methadone face a Catch-22: child welfare and corrections officials don’t trust their motives, said Ms. Friedman. “They think this is just a moneymaker to keep people on medications.” That’s why it’s important to put clinical reasoning into the letter, even though it may be obvious to a medical professional. 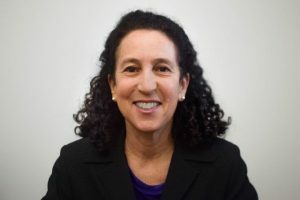 “We try to get the point across to treatment programs, that they can’t assume the relevant players are educated about the basics of addiction or MAT,” Ms. Friedman explained. “Many of these players are hostile to MAT, and they need to be educated in a friendly manner. It’s not enough to say, ‘This person’s taking this medication, and that’s that.’ This isn’t persuasive, because the criminal justice or child welfare agency thinks ‘of course you want to keep them on the medication, because every time they come in you get paid.’” Ms. Friedman also noted that the judge or agency may view MAT as an unnecessary crutch. The Legal Action Center’s toolkit has an online form people and providers can fill out when criminal justice or child welfare officials order individuals off MAT. The data collected through this form enables the Center track these practices nationwide. “We can’t represent people in their criminal and child welfare cases all over the country, but we’re communicating with important decision-makers,” said Ms. Friedman. The Legal Action Center is the only entity that is tracking this trend, she said, adding that the organization now has data from 32 states. But the bottom line is that the lawyers who defend people need to be educated. “We have clients who have been charged with child neglect because they are taking methadone prescribed by their doctor,” said Ms. Friedman. Unfortunately, when their lawyer then agrees that they should just stop taking methadone, that leaves the patient in an untenable position.